TIPSlab pursues projects on all topics relating in transportation, infrastructure, and most importantly the impact of such issues on people and society. Check out our projects below or learn more about our RESEARCH AREAS. This project looks at what the implications of self driving cars and control networks are on urban form and infrastructure. What is the future of parkades? They need to intensify and densify, serving both social and environmental roles as well as integrating with advanced transportation networks. What is an Electric Vehicle Charging station? Where is it and how does it work? What does it look like? This research provided guidelines for the Province and everyone involved in installing stations to set the standards for BC, giving definition to this new form of transportation infrastructure. The introduction of a new infrastructure to an existing infrastructural fabric is an exciting and challenging exercise. 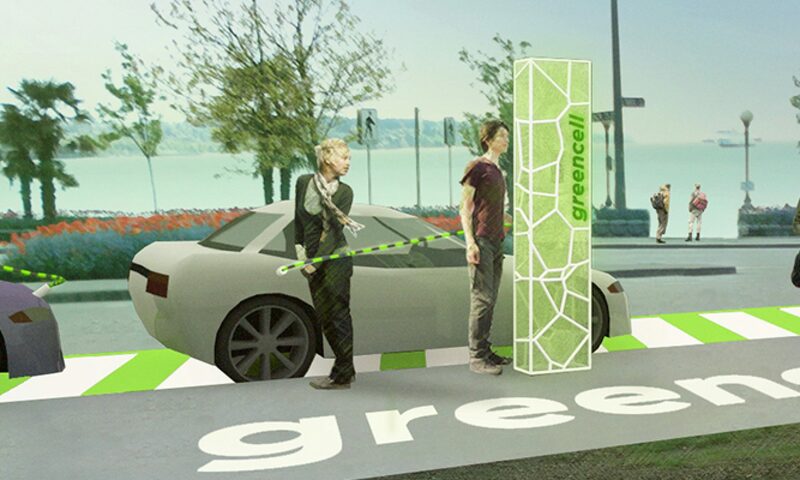 This research helps BC Hydro, the Province and stakeholders best site their Fast Charging Stations in BC. This research helps municipality and stakeholders best site their Level 2 stations. This research looks at what is necessary to link alternative energies such as wind, solar and smaller run-of-river to Electric Vehicle (EV) charging. ROBObridge is a speculative response to the contested water crossing: a robotic bridge. Visualizing infrastructure changes is difficult for the general public and often for decision makers in government.